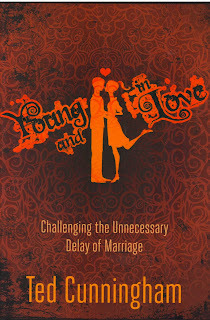 Young and in Love is a book that encourages young people who fall in love to examine themselves and each other, but not delay marriage. If they believe they’re right for each other, go ahead and marry rather than delay marriage for years. This book encourages teamwork in marriage, avoiding promiscuity and avoiding living together outside of marriage. It validates fidelity to one’s spouse and encourages couples to commit to, and support one another. 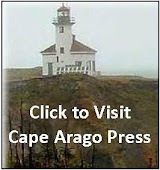 The book is filled with questions for young couples to consider, and offers ideas on what to watch out for. Journal entries lead a couple to examine themselves and their potential spouse. The book helps young people commit to a lasting, successful relationship via marriage, while not allowing others to discourage them. 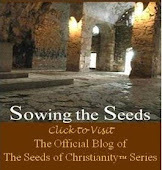 Pastor Ted Cunningham uses Biblical validations throughout the book. He is a young father, with teenagers yet to come. The one place I disagreed with him was how he expects to speak to the young men his daughter will date. Those teen years will teach him much. Parenting a teen is very different from going through teen years yourself. Other than that, however, most of Mr. Cunningham’s premises are sound, and I’d like my grandchildren to read this book. I hope they will avoid the political correctness that could rob them of the joy provided through a large, supportive family. By beginning married lives young, our odds of enjoying grandchildren and great grandchildren increase exponentially. As a grandparent, I look back on my life and realize in my youth I bought into the political thinking about marriage and children. I no longer agree with any of it. I married later and limited myself to two children. It saddens me that my children are having their children later, and are also limiting their number. The greatest gift in life is family. Yet, the last three generations were encouraged not to marry young and not to have more than two children. Why? Possibly greed. Children are expensive. But, what is a car, a monstrous house, or an exotic vacation worth next to a child? Objects and trips don’t bring us love and joy. Loved ones do. Mr. Cunningham’s arguments are clear, concise and accurate. 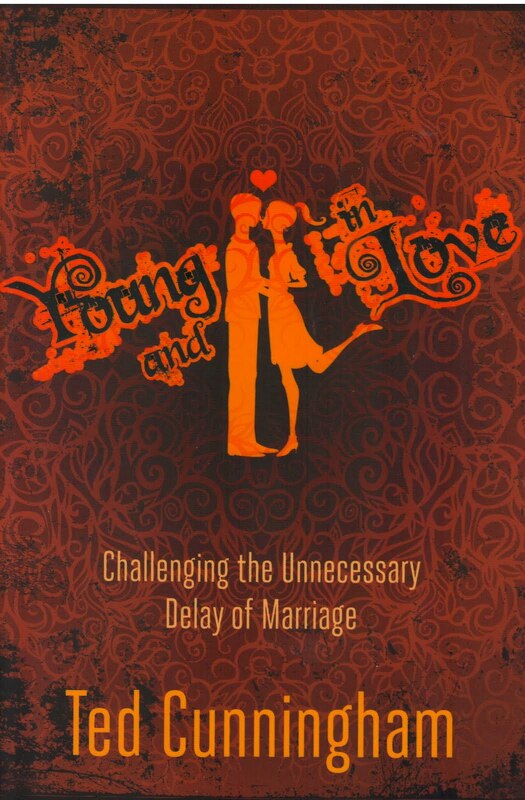 I strongly recommend Young and In Love, Challenging the Unnecessary Delay of Marriage to all young people, and to parents who still buy into the myth that marrying late carries some advantage. 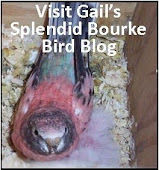 Our gratitude to Audra Jennings at B&B Media for providing us with a review copy.